Mason bees are the lesser-known relative of honey bees, and are fascinating! A mason bee can visit as many as 1000 blooms each day, which is 20 times more than a honeybee. And major bonus for the wary...they don't sting! 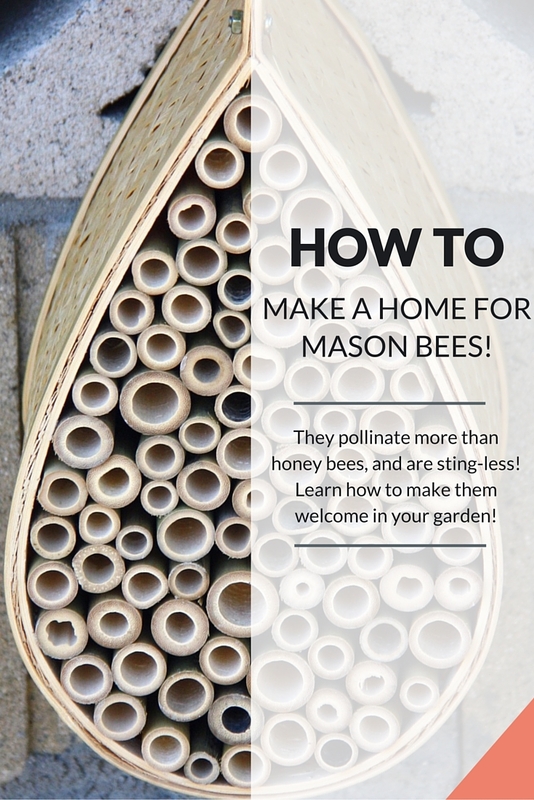 If mason bees pollinate 20 times more than honey bees, sign me up! I've recently received a Bee & Bee (cute, right?) 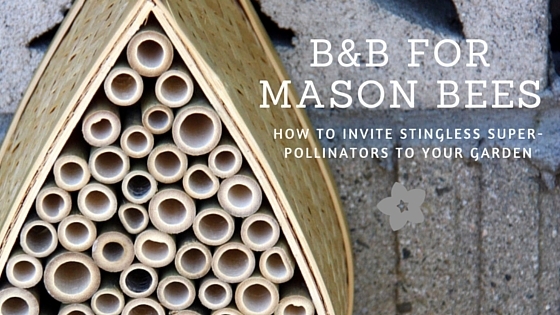 to help attract mason bees to my garden and am excited to invite them in. Mason bees like to live in areas with lots of nooks and crannies. An old wood pile or dead tree is their 'natural' habitat, but a homemade bee house or a bee house from the market are great substitutes to help attract them. Houses like mine are available from Friends of the Earth. Choose a spot where they'll be sheltered from wind and strong rains. Place in an area where they'll receive warm morning sunlight, and shade in the afternoons. The area should have low vegetation with lots of bee-friendly plants nearby. The spot below the B&B should be kept free of tall grasses to help prevent spiders and ants from finding their way up and pestering the bees. Mount the house 3-6 feet above the ground against a flat surface, like a fence or tree. In the meantime, enjoy the happy sting-free and stress-free pollination services of your mason bees! And take a minute to check out the great bee-related information from www.beeaction.org! Have you kept bees before? 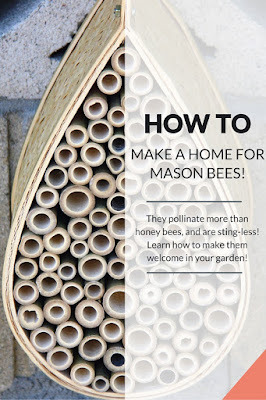 Honey or Mason bees? Share your experiences here! Very cool. I certainly will add a "Bee & Bee" to my yard. Thanks for your note! 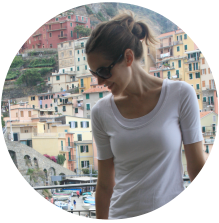 I'm excited for you and would love to hear how it goes!